The 1941 attack upon Pearl Harbor was the reason a group of church leaders decided to recruit 365 leaders to publish a book of daily devotions for those volunteering for military service in Europe and Asia. Your church has the opportunity to give the same book with additional devotions by contemporary church leaders on December 7, 2016, the 75th anniversary of the attack on Pearl Harbor. 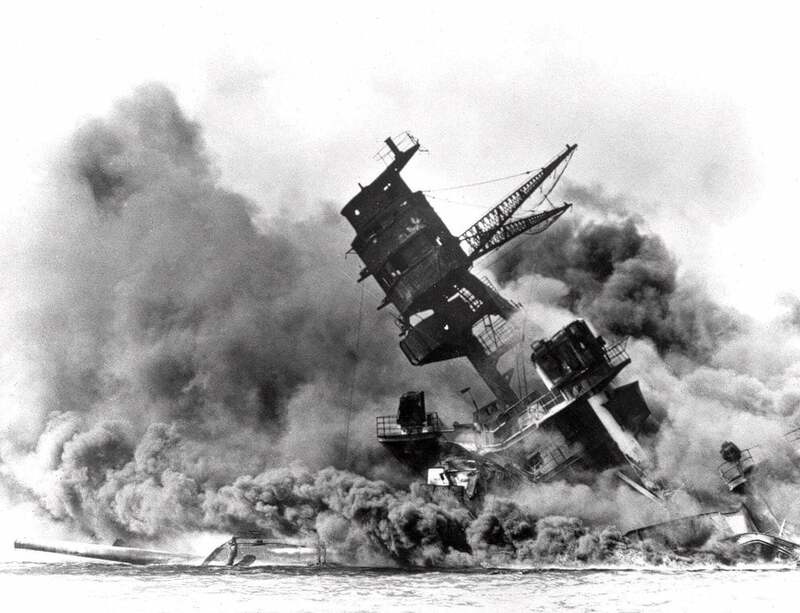 During the Japanese attack on Pearl Harbor on December 7. 1941, a bomb detonated in a powder magazine of the USS Arizona. The battleship exploded killing 1,177 men. In the days following the attack the Methodist Publishing House created a pocket-size book of daily devotions for those volunteering for military service following the attack. If you live near a military post, purchase a case of 48 copies of Strength for Service to God and Country for $5.50 each. Order the books by November 15, and you will have them in time for a presentation service on December 7. If a military base is not near you, you may make a donation to Strength for Service, and the non-denominational ministry will ship books to military bases, with priority given to troops who are about to be deployed. VIEW & DOWNLOAD POSTER HERE.